Celestron's NexStar 4SE 125mm f/13 Maksutov-Cassegrain GoTo Telescope is a powerful, versatile and user-friendly catadioptric-style scope that can be used for observing everything from the Moon and planets to bright deep-sky objects like stars, galaxies and nebulae. Using Celestron's proprietary StarBright XLT multi-coating system, light transmission is increased throughout the entire optical path with anti-reflection multi-coated lenses, highly reflective multi-coated mirrors, and Crown optical glass elements. Similar to their Schmidt cousins, the Maksutov design exchanges the conventional front corrector plate with a convex meniscus lens which results in a smaller secondary mirror — limiting obstruction and increasing contrast, while eliminating the need for periodic collimation. While the focal ratio is a relatively slow f/13, the scope's optical performance, added to the mount's precision tracking system and integrated equatorial wedge allows it to be a competent astrophotography/imaging platform for the Moon and planets. 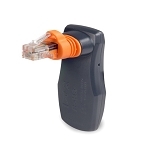 Driving the dual servo motors on the mount is the brains of the NexStar 4SE: the iconic NexStar+ computer hand controller. 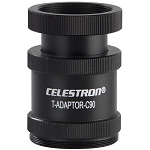 Packed with 40,000+ celestial objects, it can hold up to 100 additional user-defined destinations and is updateable via the Celestron website. 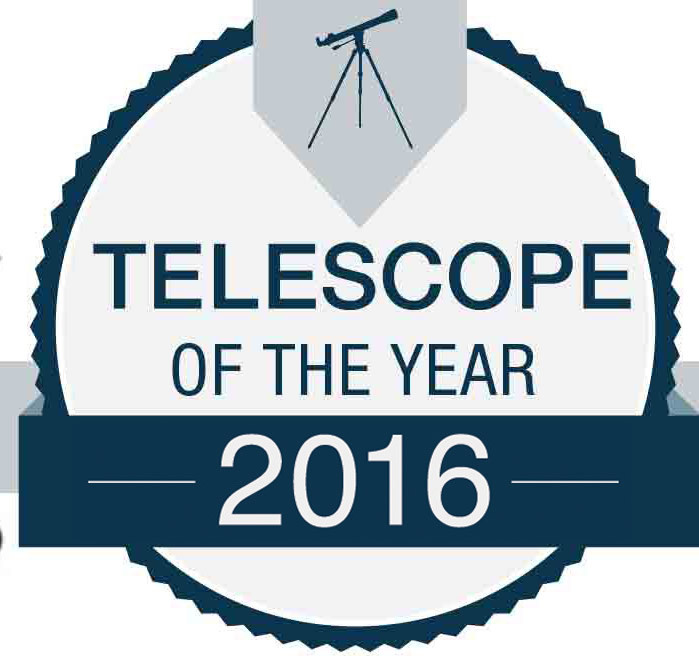 It has multiple alignment procedures to get you observing fast - including the super-easy SkyAlign system. 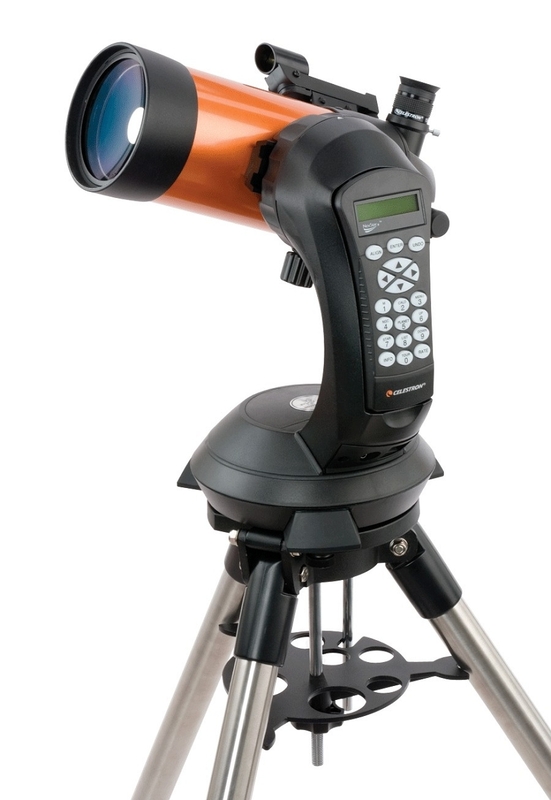 Capable of being used in the northern or southern hemispheres, the NexStar has sidereal, lunar and solar tracking speeds to accurately follow near and deep-sky objects, plus nine slew speeds; and the ability to automatically trigger a camera's shutter release for Fastar or piggyback wide-field photography, or conventional prime-focus astrophotography. 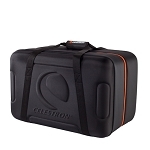 Package Weight 38.0 lb Box Dimensions (LxWxH) 32.0 x 27.5 x 13.5"
There are thousands of different telescopes that are available on the market, but when looking at price vs features, the Celestron NexStar 4 SE Telescope is by far the best telescope for the amount that it costs. This telescope has a state-of-the-art computerized operating system, and this will allow you to be able to view a number of excellent and beautiful celestial objects. Although this telescope can be used by beginners, it is designed more for a more advanced astronomy observer. With the single touch of a button, you will be able to find thousands of different planets, galaxies, and stars, and you will be able to enjoy the entire world of astronomy from the privacy of your own backyards or your favorite star gazing spot. According to the people who have used this particular telescope have given it an overall excellent review, but there are a couple of things you should be aware of before purchasing this telescope. First off, this telescope can actually use rechargeable batteries, but these batteries are not included with the actual telescope. 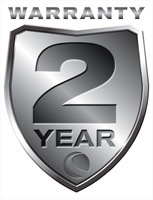 Therefore, you will need to purchase them separately. Plus, due to its size, it can be rather limited when it comes to being able to view deeply into space. However, its size is also one of its best tributes. Thanks to this, it is both small and portable, which means you can carry it around a lot easier to the places that you wish to star gaze from. The computerization components of this telescope are also very trackable, which means you will be able to keep track of the different celestial bodies that you observe with the telescope. Another thing that actually makes this the best telescope for the money it costs is the fact that you can also take part in amateur astrophotography. You will be able to take pictures with it, but it will be rather limited. They will not be as high quality as a telescope that was designed for such things. This telescope is motorized, and therefore, you can actually align the telescope to be able to track whatever you want from planets, nebulae, galaxies, and stars.